Gorilla racks are known for being well designed, sturdy and reliable. The consumer steel shelving does, however, require some assembly. Fortunately, Gorilla racks come with easy-to-understand assembly instructions for all of their models. While specific assembly instructions will vary depending on which model you own, most models have similar assembly instructions. Here are the directions specific for assembling one of their basic rack models called the GRZ 1460-5. After some self assembly, your Gorilla Rack will be good to go. 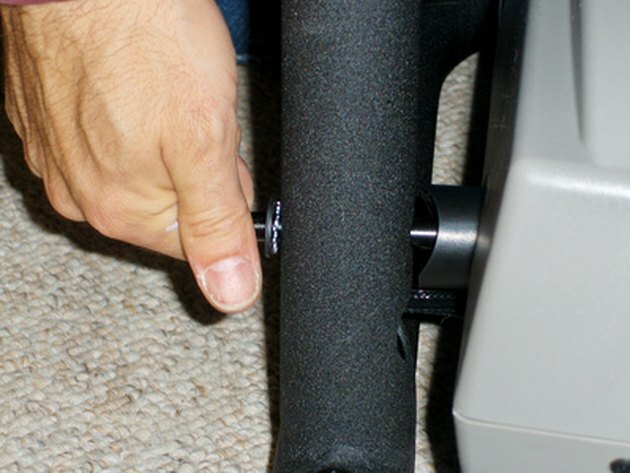 Connect an 18-inch Z-beam to the 36-inch angle post by attaching them at the key holes. Hit the beam close to the post to drive the rivets to the bottom of the key hole. This will secure the items in place. Repeat this process for the other Z-beams to attach the 36-inch post. This will assemble the bottom end. Create a 48-inch Z-Beam to the key holes at the bottom of the previously assembled bottom end. Lock the pieces together by hitting it with the rubber mallet until it securely connects. Connect an 18-inch Z-beam to a 36-inch angle post. Connect them at the key holes. Add another 36-inch angle post by hitting the beam with a rubber mallet close to the joints. Use the top rivet to connect this to the bottom assembly. The angle posts should not overlap. Repeat the process for the opposite side of the rack. Attach two 48-inch Z-beams to the mid section of the rack. Place the rivets in the key holes and hit it into place with a rubber mallet to secure it. Repeat this process to add 48-inch Z-beams to the top of the rack. Add shelves to your rack by attaching the remaining Z-beams to your preferred spot on the rack. Attach by placing the rivets in the key holes and securing it with the rubber mallet. Lay the shelf decks into place on top of the beams. Place post caps onto the corners of the four angle posts.